The Kura Master took place in Paris, France for the first time. The Kura Master contest was designed to pick Sake brands suitable for the French industry experts. Thirty-two professionals from French Restaurant and hotels industry and some top sommelier in France have tasted 550 of Sake brands from Japan. They have selected several sake brands each in the ‘Junmai’ and ‘Junmai Daiginjo ‘categories. 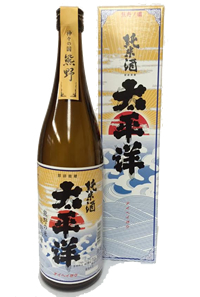 And category of ‘Junmai’, Taiheiyo by Ozaki Shozo won the Platinum Award at Kura master 2017 against high-quality other sake brands.